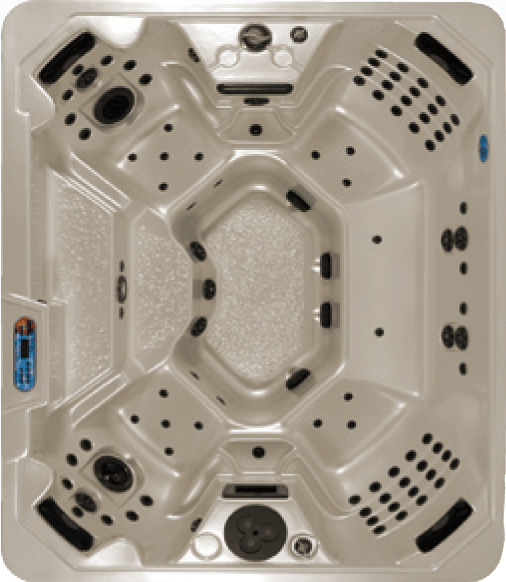 An elegant non-lounger spa containing two Hydro-Max™ seats, two Wave-Max™ seats, one large bench seat, and extra wide walk-in steps. Comes standard with one Majestic Plus™ control pad and remote. Includes hand-held jet with dual nozzle.